Thank you for buying SketchFX Pro plugin for SketchUp. Here are important information regarding activation. You will receive a copy of these information and some extra details regarding your order via email shortly. Please enjoy your SketchFX Pro purchase, and contact us if you have any questions or issues. We hope you had a pleasant shopping experience and invite you to shop with us again! Important: SketchFX Pro charges will appear on your credit card statement as paddle.com. Once the trial period has expired, every time you click "Apply Effect" a message will popup prompting for activation. Click "Activate" and follow the instructions to receive an activation code. 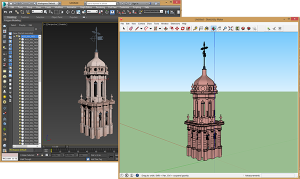 AmbientOcclusion is a fast, easy 3D rendering plugin for SketchUp. No learning required. In just one click, you will create a visually compelling preview of your 3d models, highlighting space and relations with other objects. FluidImporter is a very fast importer plugin for SketchUp. Entirely written in C++, it can quickly import many different 3d file types into your SketchUp model. 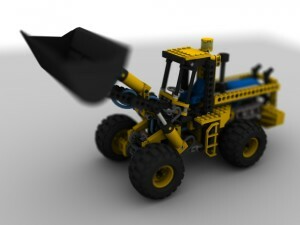 All file informations, such as materials, textures, colors and meshes are accurately imported. 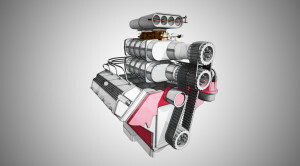 SketchFX extends SketchUp capabilities with a complete set of compelling visual effects. No learning required. In just one click, you will enhance your models with the look you were searching for. Choose among the presets (watercolor, pencil, depth-of-field, motion-blur and more) or create your own style.